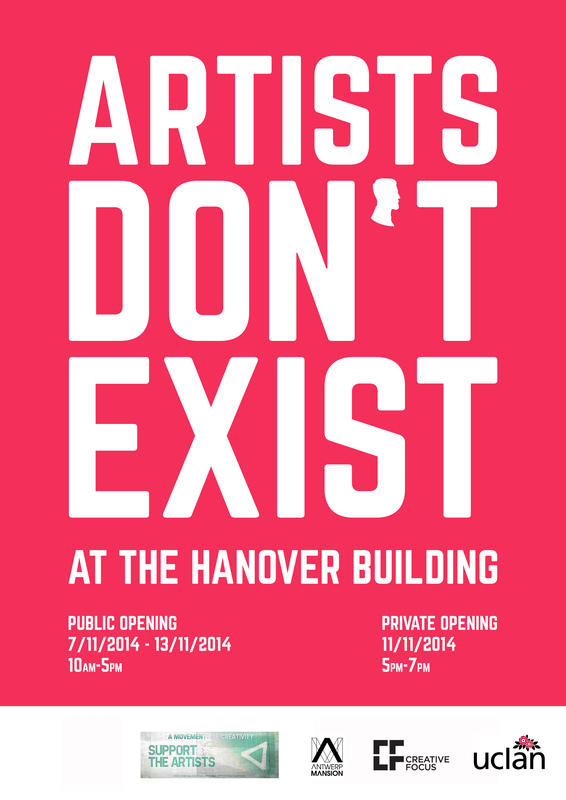 2nd year Fine Art students are required to organise, curate and exhibit their work in Hanover Project as part of their studies. They are expected to work as a team, adopting roles such as organiser, marketing manager, curator, technician, invigilator and documenter. This invaluable experience has provided students with the skills and knowledge needed for their future careers as arts professionals. Artists Don’t Exist is the second in this series of four collaborative exhibitions that explores and combines the group’s diverse range of media, techniques and conceptual motivations through group led curatorial decisions. Eleven art students have been brought together for a two week period to initiate a discussion about the art of exhibition making.